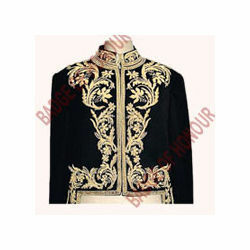 Royal looking fashionably embroidered coats depict the old western look and enhances the charm of any person who wears it. 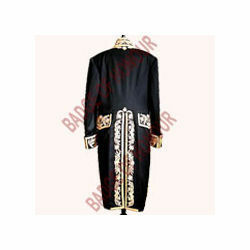 Using rich and pure silk these coats provide comfortable fitting as well. We design thread embroidery on the coats. The embroidery has an elegant look and also adds mystic charm to the person wearing the coat. 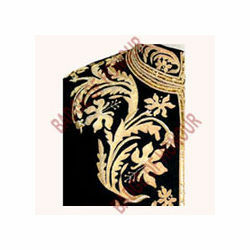 The collar embroidery done on the coats or suits using silk threads gives a western look. The finish and color combinations are carefully observed. 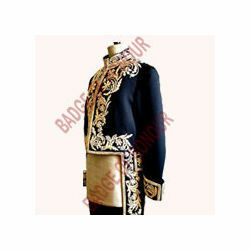 We design attractive hand embroidery on the coats to give them a completely western and royal feel. Our adept designers and artisans have carved these embroidery using high quality silk threads. Looking for Coat Embroidery ?